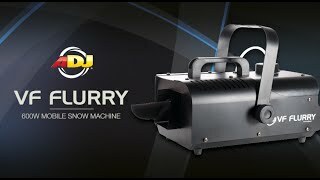 Considering purchasing the American DJ VF Flurry Snow Machine? Have questions? Ask people who've recently bought one. 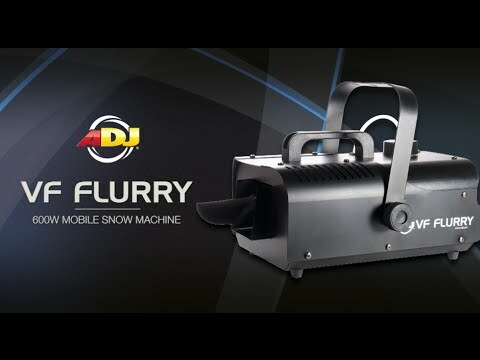 Do you own the American DJ VF Flurry Snow Machine? Why not write a review based on your experience with it. This is an amazing snow machine, with the capabilities to make a snow storm! Pros: +When you have run out of fluid, it shuts off +You can control the amount of snow +All the children love it! Cons: -When turned on to maximum, it consumes fluid like a monster. -It is extremely loud, you have to turn the music up to battle it- although all machines for this price are loud. -The cap leaks -It makes a weird noise when being carried around like something's rocking in it. -the high output just makes giant pieces of foam rather than lots of it, although that could happen on any machine. All in all, it's a good machine for a DJ, with some minor flaws, though perfect for me. Had a great new years Party with the added fun of the snow machine, everyone loved it. !!! Service great, product worked well, though some participants complained of minor eye irritation from the snow. Seen a video for American DJ VF Flurry Snow Machine online or have you own video? You will earn 352 loyalty points with this product worth £0.88, when logged in. Check out American DJ VF Flurry Snow Machine on DJkit.com!